When it comes to state-of-the-art casino games that run smoothly on every platform, there are a few brands that stand head and shoulders above the rest. Although a relative newcomer to the online gaming scene, Spinomenal is one of these elite brands and has been thrilling players with its cutting-edge and entertaining games since 2014. Click here to read more. Spinomenal believes that HTML5 is the future of online gaming, and it could very well be right! It has met the demand for cross-platform compatible games that run smoothly on desktop and almost all mobile devices time and again, blazing a trail through the industry and creating some incredibly innovative games with superb special features. It aims to entertain all users and its goal is to deliver a friendly, reliable and highly-engaging entertainment experience to players of all preferences. Spinomenal was founded in late 2014 by Omer Henya and Lior Shvartz. Since then, the brand has gone from strength to strength and over 2.5 million players have discovered its games. To date, Spinomenal has developed more than 60 unique slots games and a complete API suite that has been integrated by several real money gambling operators. Its social games have also been a huge hit and it is aiming to hit the 100-game release mark by the end of 2016. 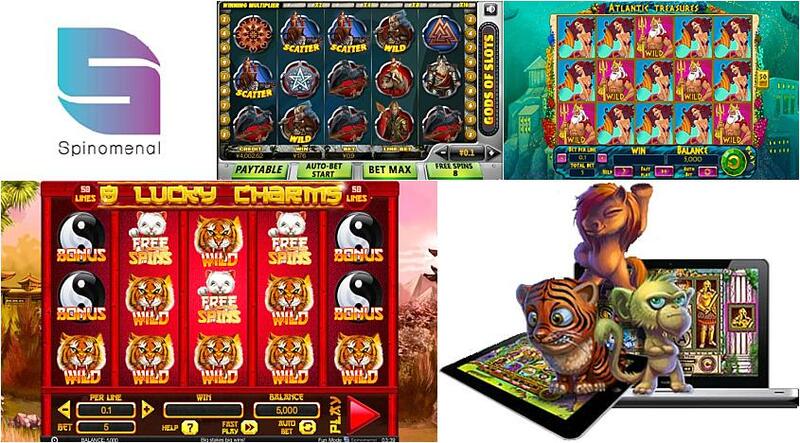 The slot maker’s other target is to become one of the leading games service providers in the market. If it continues in the same vein as it has since 2014, this target could easily come to fruition. Spinomenal has developed the ideal solution that allows it to reach players across the globe. Even players in low internet connection speed regions can enjoy a great variety of games, as its high-speed slots are designed to load almost instantly. At less than 3MB per game, the slots load incredibly fast and offer a quality gaming experience. These games also offer two spins per second, making them ideal for players who want to enjoy high-speed game play and the chance to win big in the shortest possible amount of time. Add to this the fact that these games run smoothly on mobile and Spinomenal really has created a winning formula. Another area in which Spinomenal has really set the bar high is with its social gaming platform. More than 2.5 million players enjoy its social games and this number is continuing to grow. Using a unique Avatars system, players can enhance their gameplay as never before. The platform also offers a bonus system, an affiliate system and a reporting system; in addition, it can provide advanced analytics. It is the ideal social casino app and suits operators and players alike. Spinomenal’s top-rated games include Lucky Charms, Egyptian Rebirth, Surprising Sevens and Reel Circus. These games boast some of the brand’s signature features, such as evolving symbols, stacked symbols and win multipliers, all of which add to the players’ winning potential and to their overall enjoyment of the game.